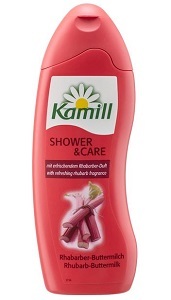 Kamill Shower Gel Rhubarb-Buttermilk has mild cleansing agents that gently clean and pamper the skin, leaving it feeling smooth and supple. Its refreshing Rhubarb fragrance rejuvenates both body and spirit for a genuine sense of well-being. A great way to start the day! Skin-friendly pH value and skin compatibility has been dermatologically confirmed.